Originally, a November Goals post was coming your way but it's way too late and I feel like I want to talk about makeup products instead. As most of you know I adore eyeshadow palettes, but foundations are my second favourite product to try and review. I am constantly searching for a flawless foundation that ticks all my boxes, I am currently trying to get through the many I have in my collection (maybe I will do a post on it if you are interested) but here are six high-end foundations that I have wanted to try out for a long time. If you have tried any yourself please leave a comment below and also feel free to share your recommendations. My skin type is oily/combination and I prefer a natural to matte finish with buildable medium coverage. Shade matches for myself are inserted and I tend to go for medium with golden or yellow undertones. Nars Natural Radiant Longwear* (£35) Shade: Valencia. 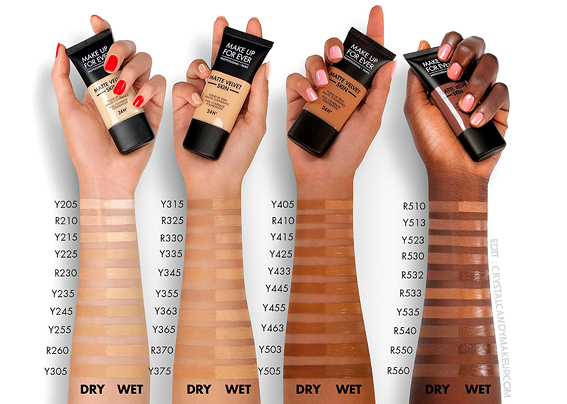 I think Nars do the best natural skin finish foundations that are suitable for all skin types. I have oily skin and really love the iconic Nars Sheer Glow*. 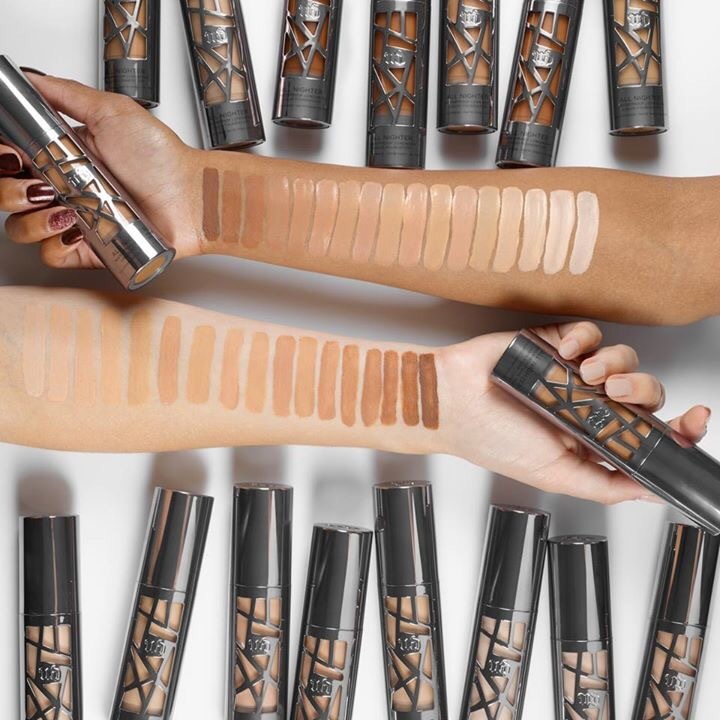 The Natural Radiant Longwear promises long-lasting (16 hours and fade resistant people), lightweight, luminous coverage. I actually saw this when I was living in the library in the run up to my dissertation deadline, I had gone to the ladies' bathroom to freshen up and brush my teeth in the late hours when I came across a beautiful hijab-wearing woman who had the most flawless skin. I thought for sure she was wearing the Huda Beauty Faux Filter* which because of some shade matching concerns and the fragrance I have been reluctant to try out. She also has oily skin and recommended the Nars foundation to me. Jouer Essential High Coverage Creme Foundation* (£34). Shade: Golden Sand. This foundation is known for being good for dry skin types, but it's allegedly full coverage, matte and long lasting as well as packed full of ingredients like hyaluronic acid, chamomile and cucumber which are actually good for your skin. 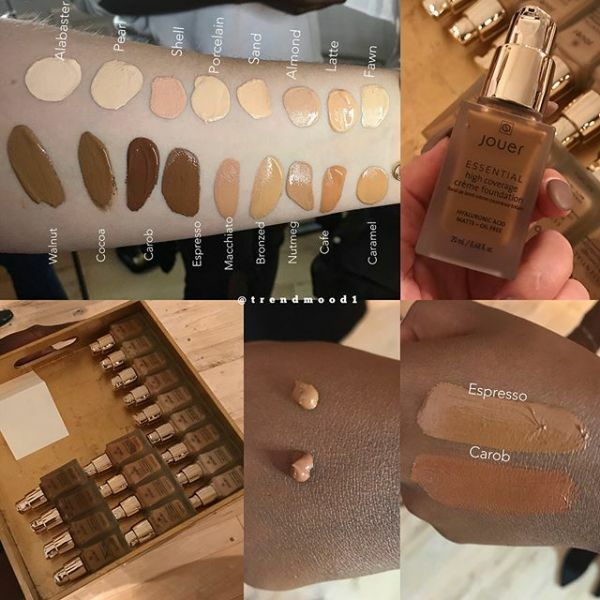 All of this makes it sound perfect for my skin type and foundation preferences, I do believe that Jouer even have 40 shades in their foundation which is fantastic. Becca Skin Love Weightless Foundation* (£32) Shade: Noisette. It was a toss between the Becca Skin Love and the Becca Ultimate Coverage 24 Hour Foundation. Typically, full coverage foundations are the one for me and I am definitely not ruling out the Ultimate Coverage because I just think with full coverage foundations you get more for your money and they will last longer as you can easily just sheer them out. Skin Love promises to blur your pores and provide an effortless, lightweight, second-skin finish. It is described on the Cult Beauty site as being "medium, buildable coverage" and a "creamy texture", which are huge buzz words for me when foundation buying. Makeup Forever Matte Velvet Skin Foundation (£30.90) Shade: Y405 Golden Honey. This foundation also offers full but buildable coverage with a matte but not mask-like finish. The Ultra HD and HD foundations are some of my favourite foundations and finding a good matte foundation is truly difficult. With my love for their other foundations I feel like this could be a winner. It also adapts to your facial movements, not sure how that works or if that works but foundation settling into my smile lines is the bane of my life! Urban Decay All Nighter (£29.50) Shade: 7. One of my good friends only wears this foundation and her skin always looks fantastic and really natural, which is surprising for such a full coverage foundation. I love the packaging, I think it is cool and edgy, very Urban Decay. 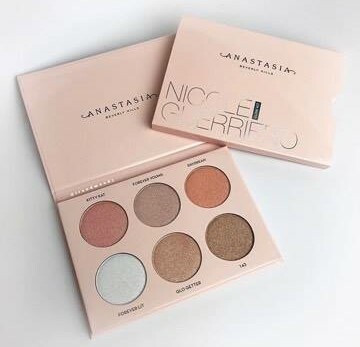 \I have actually tried this one, I got shade matched in store and it is actually really nice. It doesn't feel too heavy and blends so nicely. It is described as a modern matte finish that offers full coverage right off the bat. 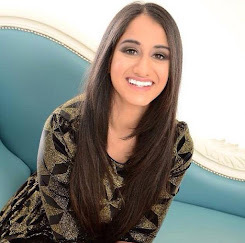 Kaushal Beauty one of my favourite YouTube people loves this foundation too. Too Faced Born This Way* (£29) Shade: Warm Sand. I don't think I have met a person that doesn't like this foundation, every time I check out someone's skin on Instagram and ask what foundation they are wearing it is this one. It honestly is one of the prettiest looking foundations, photographs beautifully. Like Skin Love it has some cool ingredients like coconut water, alpine rose which is supposed to be brightening and hyaluronic acid. 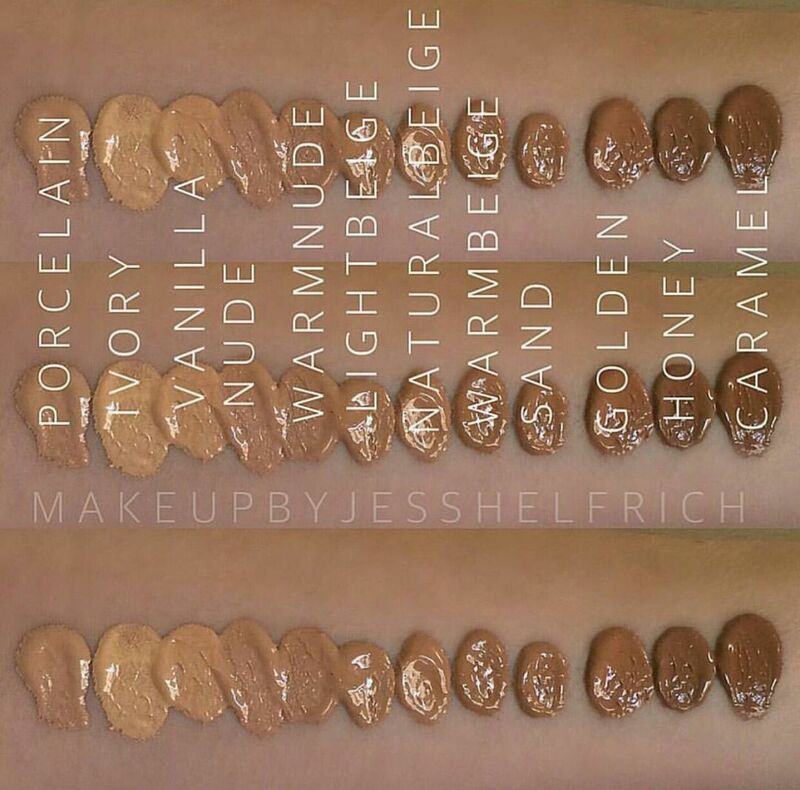 There are 24 shades available in this foundation. Thank you for reading this post, I hope you enjoyed it. 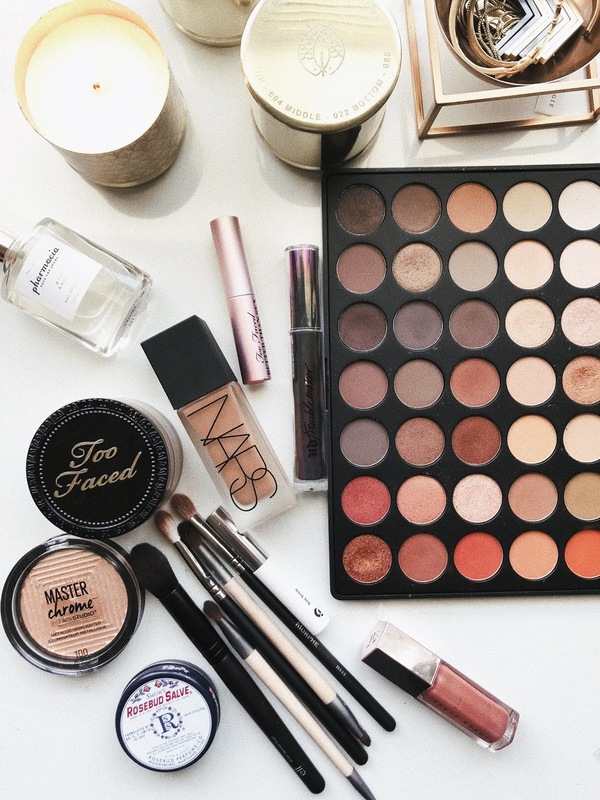 I would really like to hear if you have tried, loved, or hated any of these foundations. What foundations do you want to try or have recently bought? Hope you had a great Thanksgiving if you are celebrating, Happy Gurpurab if you happen to be Sikh and if none of that means anything to you then happy weekend! Speak soon. Take care. What foundations do you love or want to try? 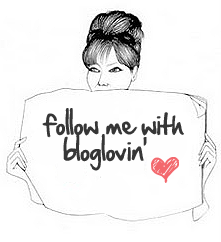 *Some affiliate links may be used throughout this post, this post is not sponsored. I adore the too faced born this way foundation so much. If i was forced to only pick one foundation to wear from now on, it would have to be that foundation! I am not wearing foundation every day, I find it too heavy for my skin and I prefer lighter options (BB or CC cream). This is a beautiful detailed post and I love how you included swatches to see which shade matches which skin. Happy Sunday!! I really want to try the Mac face and body foundation it has been on my wishlist for a really long time now. I've always wanted to try nars foundation. I currently use Fenty, love it! As our skin type is pretty similar, I actually want one of each. I try not to have too many in my stash at the same time, so I need to finish a few first. I have the Too Faced Born This Way Foundation. I haven't used it in a while, but I loved it when I did! I have dry skin and it gave me the dewy, flawless look! I love Born This Way!! I haven't tried any of the others! Jouer is on my list though! The Becca Skin Love foundation is on my wishlist. I would love to review more foundations. I want to try this Nars foundation, I used some older formula and even if the shade was ideal, the formula itself didn't work with my skin. 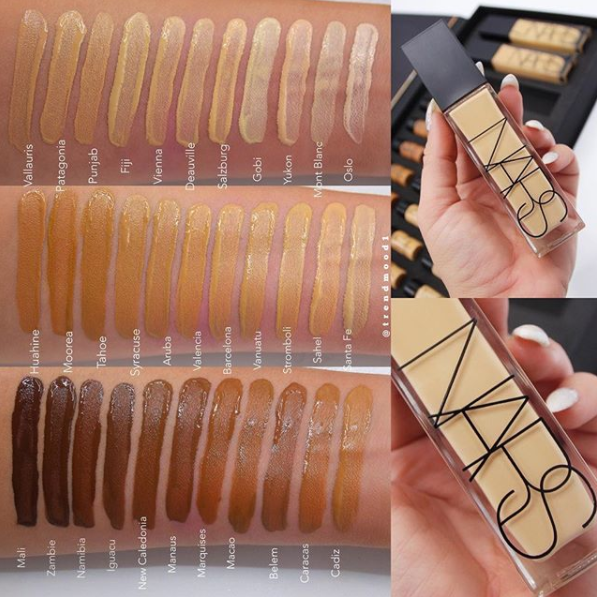 The Nars longwear is on my wishlist too - sounds like an amazing formula! I have never tried any of those foundations, but I am shopping for a new foundation. The swatches are great by the way! Have a wonderful week!